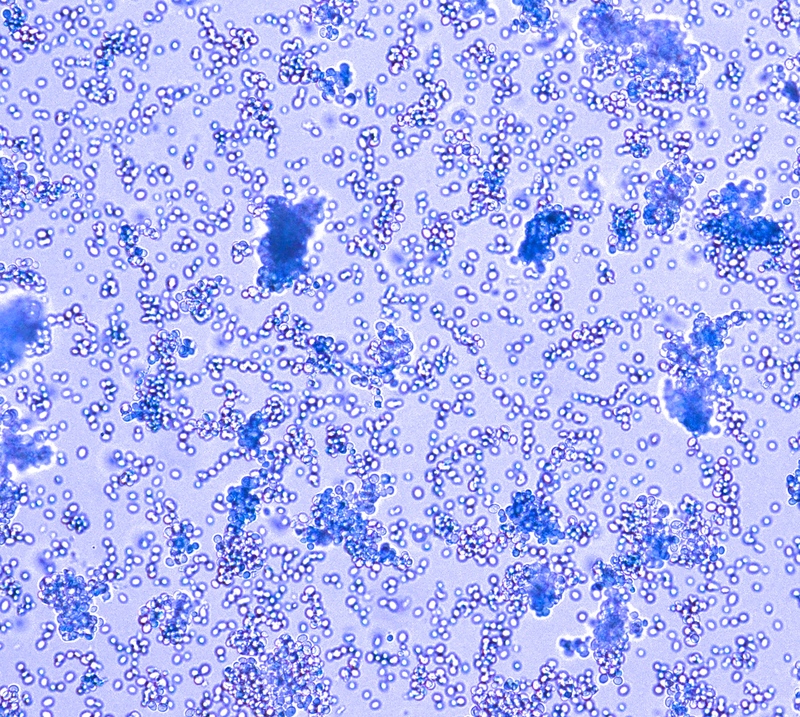 A preparation of dead and living yeast cells. 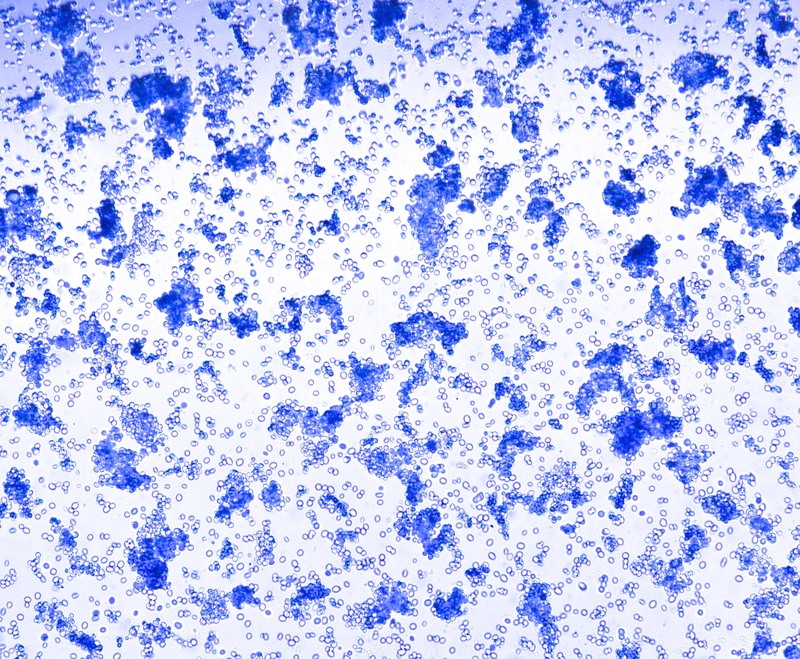 Living cells are colourless and dead cells blue. 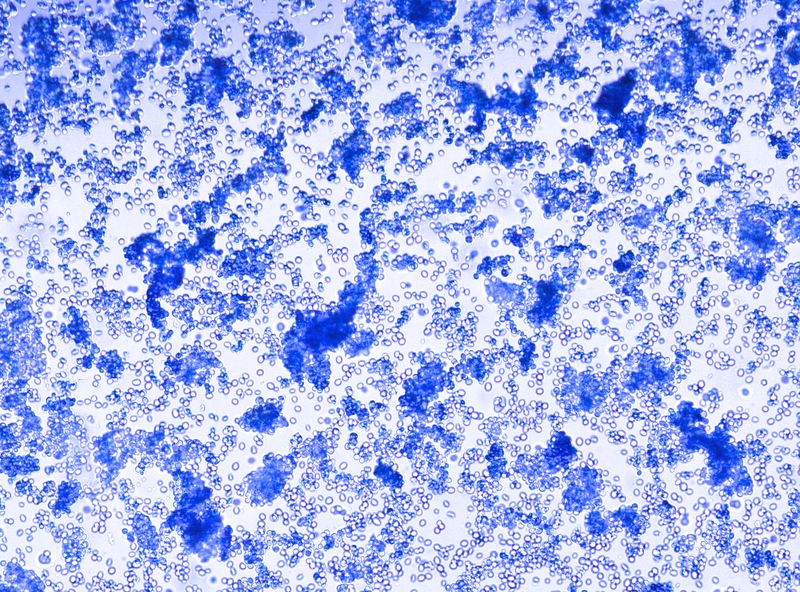 The viability assay used in a microtitre plate. The cells around the outside are alive and reduce the dye to its colourless form. 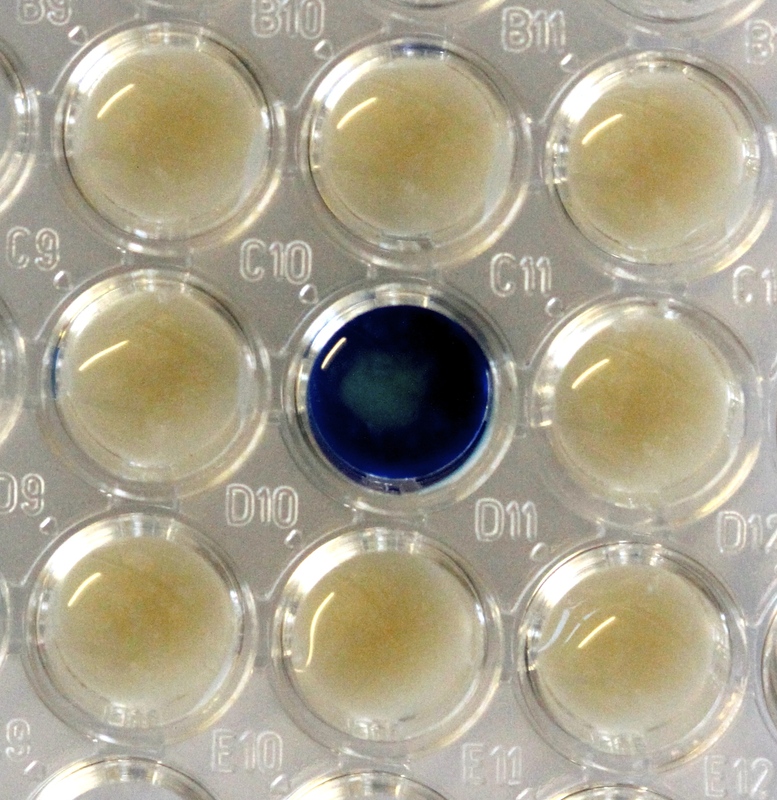 The dead cells in the centre cannot reduce the dye and remain blue. 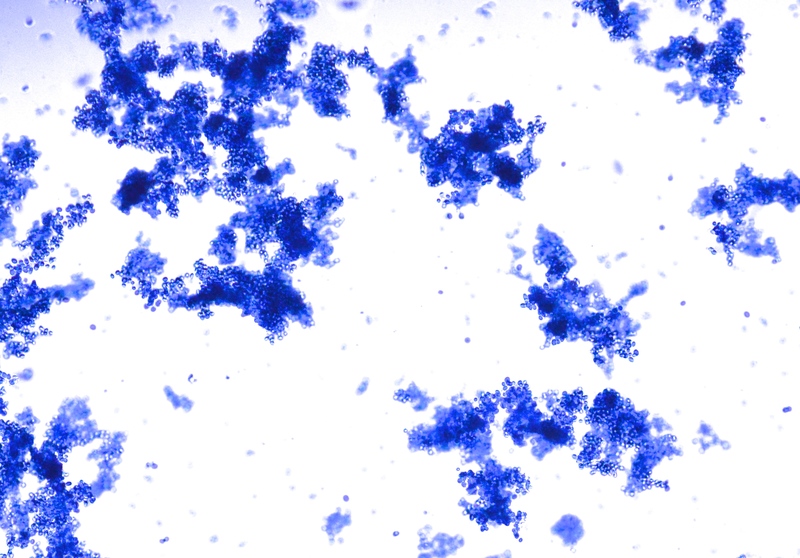 Methylene Blue can be employed as a viability indicator to determine whether cells are alive or dead. Because of its size and positive charge, it does not enter into viable cells and gets reduced to the colourless form by a reductase on the cell surface. Consequently, cells that are alive will not stain and appear colourless. In contrast, dead cells are damaged (in particular the membrane), and Methylene Blue will pass freely into them, and because they also do not contain a functioning reductase, they appear blue. Here’s an off the shelf/DIY method of this viability assay which uses Methylene Blue in the form of a widely available fish medicine.